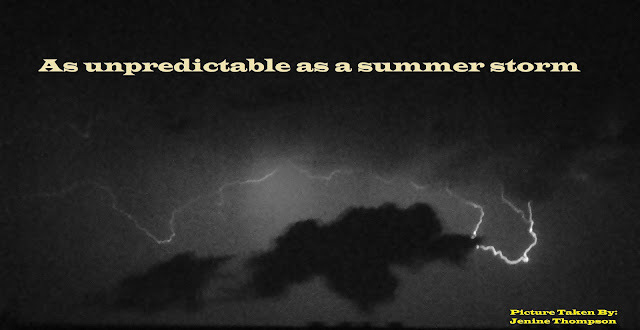 For my second memoir I chose to add a picture of a summer lightning storm. I believe that life is as unpredictable as a summer storm because you can never predict what will happen next or where the lightning will strike. Life is full of unexpected twists and turns that can be influenced by you but ultimately you have very little control over them. It took me over an hour to finally capture a picture of the lightning in the clouds because I could never predict when it would flash. I chose the bold white font to match the colour and the intensity of the lightening.